Summer…a time to reap, a time to sow, and a time to worry about weeds. 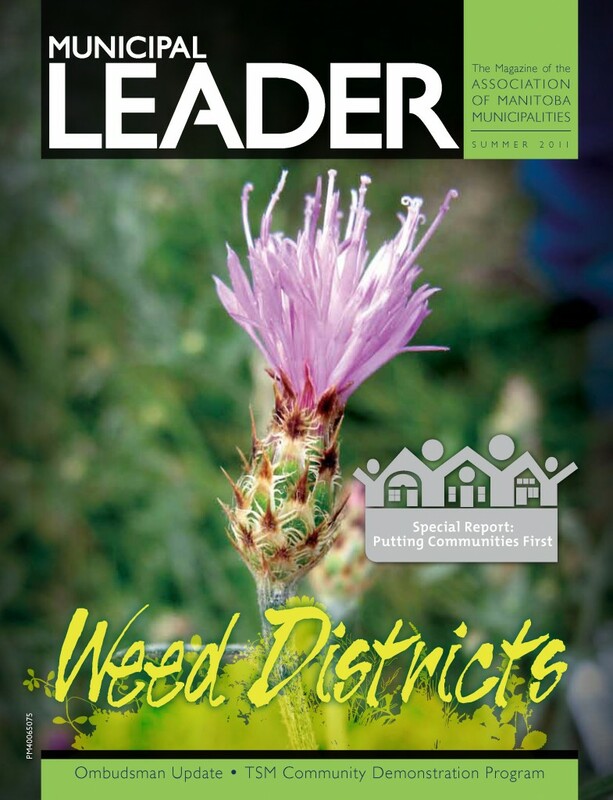 That’s why weed districts are important, and our article explains where they are and what they do in Manitoba. If the summer, 2011 issue is any indication, it is also a time to recognize Manitoba’s municipal leaders for innovation. We not only profile the winners of this year’s Municipal Excellence Award, we introduce you to Manitoba’s newest “safe” community, show you what some communities are doing with scrap tires, and interview the Mayor of Thompson – a city with lots of forward-thinking ideas in its own right. Most importantly, this issue contains a Special Report about a movement that is a top priority for the AMM this year – the need to Put Communities First on October 4, provincial election day in Manitoba.